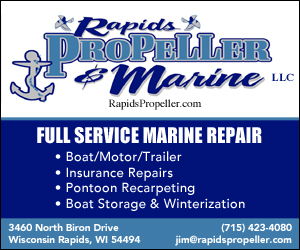 WISCONSIN RAPIDS – The Wisconsin Rapids Rafters (31-37, 16-17 second half) completed a ninth-inning comeback to win 8-7 over the Wisconsin Woodchucks (28-41 ,16-18 second half) at Athletic Park. The Rafters trailed 7-4 entering the ninth, and Jake Dunham (Northern Illinois) delivered the go-ahead double to give the Rafters a one-run lead. The Woodchucks scored first in the first inning. The Chucks scored twice on an RBI double and an RBI groundout. Wisconsin Rapids tied it up a half inning later as Dustin Woodcock (SIU Edwardsville) knocked in one on a double. Payton Robertson (Louisiana State Shreveport) worked a bases-loaded walk to bring in the second run. Wisconsin took the lead in the bottom of the second off a Javier Valdes base hit. Two more runs for the Chucks came in off a Issac Quinones single and Reese Alexiades home run in the third. The cranberry and gold made it a one-run ball game in the fourth. Brody Wofford (University of Central Florida) and Matt Schmidt (Michigan) hit solo bombs to make 5-4. The Woodchucks pushed their advantage back to two as Tommy Duddleston stole home plate. A bases-loaded walk to Quinones in the seventh had it 7-4 Woodchucks. The Rafters came alive in the ninth sending nine men to the plate, scoring four times on four hits. The Rafters loaded the bases with no one out, and Matt Schmidt brought in the first run of the frame with a sac fly to center field. Ethan Stringer (Louisville) delivered a double with two outs to bring the Rafters within one. Alex Fedje-Johnson (Davidson) scored on a passed ball to tie the game 7-7. Stringer moved to third as Fedje-Johnson scored to set up the Dunham double to give the Rafters an 8-7 lead. Jonathan Hernandez (Chapman) closed the door on the Chucks with a scoreless bottom of the ninth. Hunter Waldis (2-0, 2.83 ERA) earned the win with a scoreless seventh and eighth. DJ Moreland (0-2, 8.18 ERA) suffered the loss, allowing all four runs in the ninth. Jonathan Hernandez (2-1, 1.14 ERA) earned his first save of the year.